It is easy to assume the rich and famous have all their affairs in order because they have the time and financial resources to hire the best people and ensure everything is appropriately arranged. Estate planning is one of those things people understand is important, but continually put off because it seems too complicated, or is something that can always be handled at a later time. Death is one of those aspects of life no one can escape, and not planning for it by failing to create an estate plan can create a difficult situation for surviving loved ones. Aretha Franklin is the latest celebrity with a large estate who died without a will or trust. Despite repeated recommendations by legal advisors over the years to execute a will, she never did, and her family must now go through a much more complicated process to collect, administer, and settle her estate before assets may be distributed. Notably, this effort does not even take into account the possibility of litigation from a disgruntled family member or other interested party that may challenge the personal representative appointment, or asset distribution plan. This situation serves to highlight why estate planning is so important, and the undesirable consequences that come when it is neglected. A discussion of some common consequences of dying without a will or trust, and the advantages an estate plan offers to avoid undesirable outcomes, will follow below. In some ways, dying can be more complicated than living, especially for surviving family members, if no estate plan exists. In order to ensure assets are distributed fairly and legally, and creditors have an opportunity to be paid, estates governed by will, or intestacy laws if no will exists, must go through probate. Probate is a court process that oversees the opening, administration, settlement, and distribution of a person’s assets. Like any matter involving the courts, probate can incur significant legal and professional fees, as well as other related costs, that reduce the overall value of the estate. Further, the documents and proceedings admitted and convened during probate become public knowledge, so the intimate financial details of a person’s life are no longer private, and if there is dissension among potential heirs, as are the details of internal family relations. Perhaps most importantly, the deceased has no control over how property is divided, which is bound to differ from State law, and will likely block important individuals and charities from receiving anything. No one wants to hand the State complete control over their property after death, but not executing an estate plan produces exactly that result. Thus, one of the main advantages of having a will or trust is the ability to choose who, when, and how assets are divided. However, a will, while providing a roadmap for the personal representative and court, still has to go through probate, and incur the associated costs and exposure to the public. Another option is to create a trust manage property, which can remain in the creator’s control until death if it is revocable. It would then pass to a successor trustee, be administered according to the trust provisions, and crucially, bypass court supervision. Further, a trust, unlike a will, gives the creator much more control over how assets are used, when they may be accessed, and can provide protection from creditor claims. Choosing the right estate plan is important, and an estate planning attorney can advise on the most effective options in a particular case. 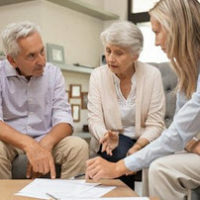 Consistently putting estate planning on the backburner may seem easier, but will make things much harder for your loved ones in the long run. William Rambaum understands the trepidation associated with estate planning, but is here to provide clients with legal representation that will help their families thrive. Contact the Oldsmar law office to schedule an appointment.